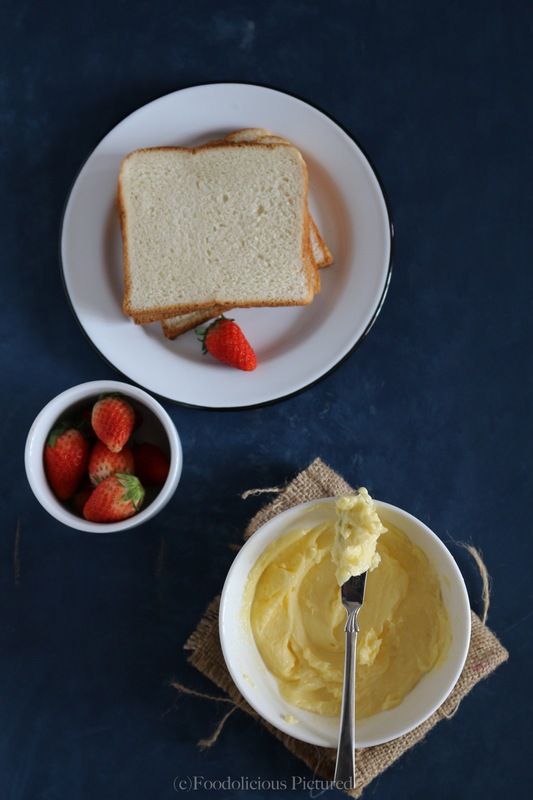 I love the taste of homemade butter, especially a dollop on a hot dosa or roti – just so divine! My mother in law still collects the fresh cream after boiling milk and then after a few days of collecting the cream, she turns them to this delicious home-made butter; and makes ghee/clarified butter out of it. With my level of patience, its quite unthinkable to go thru the whole process and hence I chose this easy way of making homemade butter. 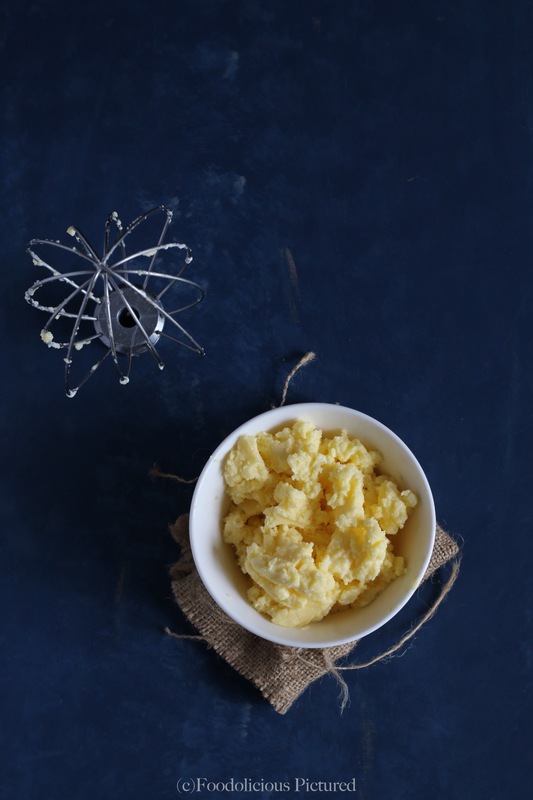 The taste of freshly churned butter is definitely worth the effort. All you need is just one ingredient (add about 1/4-1/2 teaspoon of salt if you need salted butter). 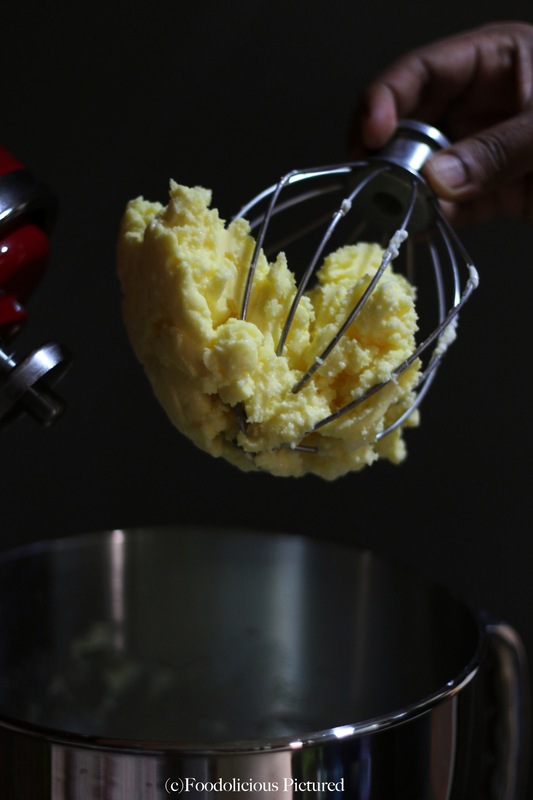 In a clean bowl, pour the cream and use the whisk attachment and whisk in medium speed. First the cream will start to whip to stiff peaks and then the lumps of butter will start to separate from the liquid (buttermilk). The whole process will take about 5-8 minutes. Once you have separated the butter from the buttermilk, rinse it under cold water until the water runs clear. This is important so that the last residues of the buttermilk are removed and the butter will last longer. Storing the butter, homemade butter will keep for a few days in the fridge. If making salted butter please start by adding little salt at a time and check to taste. 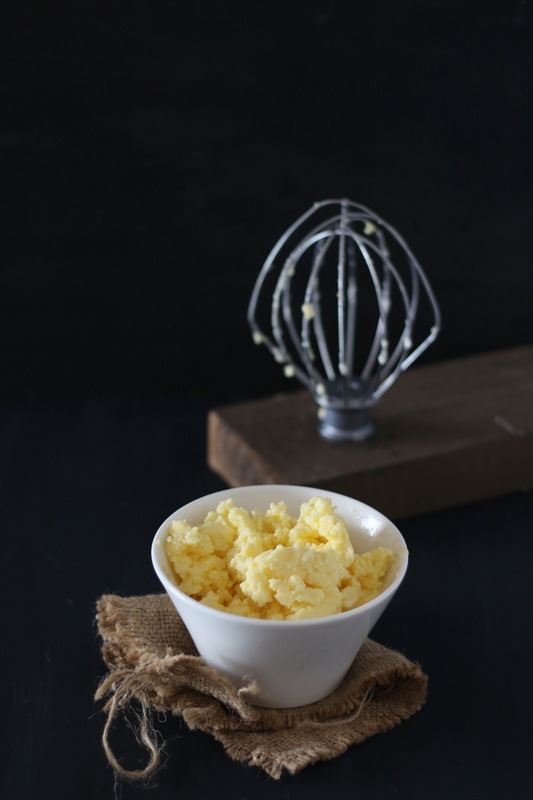 Since the homemade butter is free of preservatives, it does not last long at room temperature. Make sure you place the butter in a seive and rinse with cold water to remove the residues of the buttermilk. This will help the butter stay longer. Yummilicious butter. Simple but the best always.